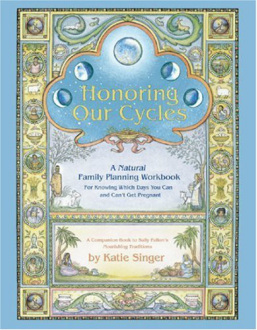 In clear, everyday language, Honoring Our Cycles describes what happens during a menstrual cycle and how a baby is conceived. 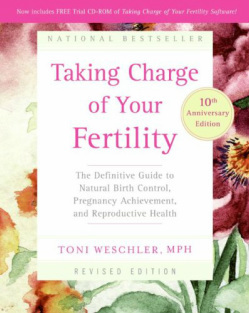 It explains how to chart the body's fertility signs to know which days are best for becoming pregnant or avoiding becoming pregnant, without the use of hormonal drugs. 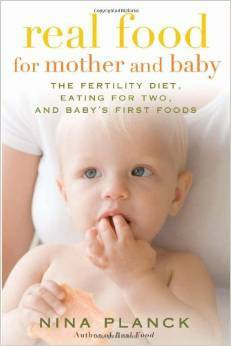 Includes dietary advice for successful conception and healthy babies and families. 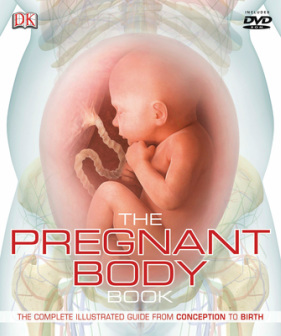 Examining the development of the baby in the womb and the parallel changes in the mother's body and structured to follow the process week by week, The Pregnant Body Book follows every anatomical and physiological change and tracks it in unprecedented detail. Specially commissioned 3D artworks, illustrations, scans, and photography show exactly how a baby changes and grows during pregnancy, and how the female body adapts to carry it. 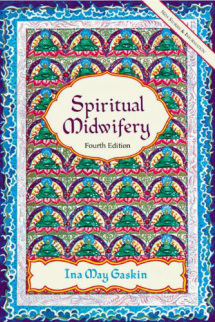 The fourth edition of the classic book on home birth that introduced a whole generation of women to the concept of natural childbirth. Back again are even more amazing birthing tales, including those from women who were babies in earlier editions and stories about Old Order Amish women attended by the Farm midwives.Also new is information about the safety of techniques routinely used in hospitals during and after birth, information on postpartum depression and maternal death, and recent statistics on births managed by The Farm Midwives. Many women experience birth as nothing more than a routine or painful event. Here is an enlightening program to help women attain the most empowering birth experience possible. While an orgasmic birth can induce feelings of intense, ecstatic pleasure, it is ultimately about taking control of one’s own body and making the best informed decisions to have a safe, memorable, and joyful birthing. Whether choosing to give birth at home, in a hospital, or in a birthing center, Orgasmic Birth provides all the necessary tools and guidance women need to design the birth plan that’s best for them. Featuring amazing stories from mothers and their partners and filled with practical advice and solutions, this one-of-a-kind resource is the next frontier of empowered, intimate childbirth. Women have an innate ability to give birth, a knowledge that has been acquired through thousands of years of evolution. Yet all too often fear and stress can get in the way and block the natural process of childbirth. 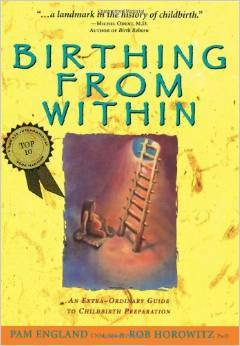 Confident Birth was created to help you release your innate ability of giving birth. The knowledge of how to give birth already exists in the female body, it's not something we have to be taught. But feelings like fear and stress often block this ability by triggering powerful survival mechanisms that work against it. 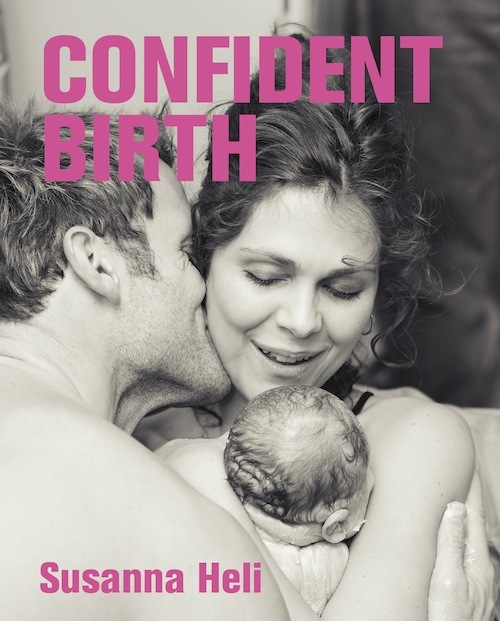 Confident Birth gives you theoretical knowledge of how stress and fear can influence the birth process in a negative way and also gives you four simple tools based on physiology to help you avoid a negative experience – breathing, relaxation, use of voice and power of mind. 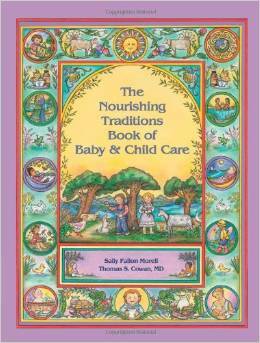 Reading The Natural Pregnancy Book is like having your own personal herbalist and midwife at your side. 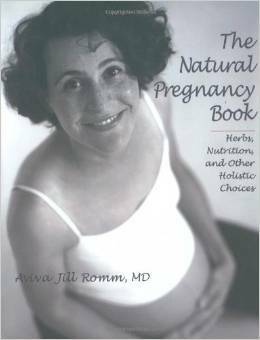 Expertly written by Aviva Jill Romm, who has been providing family-centered natural health care for almost twenty years, it guides women through treating the common ills and ailments of pregnancy simply with herbs and nutrition. Aviva thoughtfully follows the woman's journey from baby's conception to birth, describing herbs that can promote and maintain a healthy pregnancy, along with those you should avoid during your term. Her herbal remedies cover such familiar concerns as anxiety, fatigue, morning sickness, and stretch marks. She also discusses the components of a healthy diet, with an emphasis on natural foods. 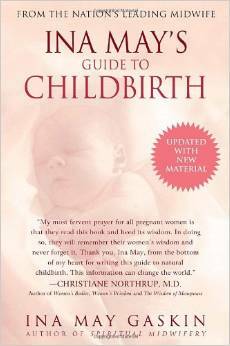 With its detailed information and comforting voice, The Natural Pregnancy Book is a complete primer for the woman who envisions a safe pregnancy as nature intended it. Nina Planck, one of the great food activists, changed the way we view old-fashioned foods like butter with her groundbreaking Real Food. Then she got pregnant. Never one to accept conventional wisdom blindly, Nina found the usual advice about pregnancy and baby food riddled with myths and misunderstandings. In Real Food for Mother and Baby, Nina explains why many modern ideas about pregnancy and infant nutrition are wrongheaded and why traditional foods are best. While Nina can be controversial-her op-ed in the New York Times on vegan diets for infants was one of the paper's most e-mailed articles- she's no contrarian. Readers applaud her candor; they also trust her research and welcome her advice. Nina's basic premise hasn't changed-whole foods are best-but some of the details are surprising. Pregnant women need meat and salt, not iron supplements. Nursing will be easier if you act like the mammal you are. Delaying the introduction of certain solid foods doesn't prevent allergies. Cereals are not the best foods for tiny eaters; meat and egg yolks are better. From conception to two years, the body's overwhelming needs are for quality fat and protein, not for carrots and low-fat dairy. Even as she casts a skeptical eye on the conventional wisdom, Nina is reassuring. She shows you how to keep your baby healthy on good, simple food. Real Food for Mother and Baby will be the new classic on eating for two. A resource for planning and hosting a blessingway ceremony-a woman-centered celebration of the journey into motherhood. Different from a baby shower, where gifts are lavished upon the soon-to-be-born child, a blessingway ceremony honors the mother-to-be and creates a circle of support that will cradle her as she prepares to give birth. Surrounded by the most important women in her life, she can explore the challenges and joys that lie before her, gaining a sense of power and confidence that will help her rise to motherhood. 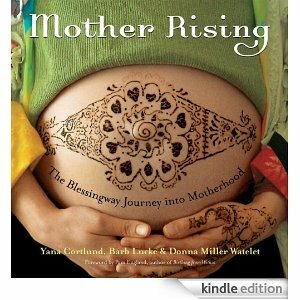 MOTHER RISING shows women how to organize and personalize a blessingway for the expecting friends and family-an experience that will give the mother-to-be the best possible gifts of deep happiness, serenity, and abundance of love. "At least you and the baby are healthy." That's what they said when they handed him to me. And they were right. Why then, so long after my body has healed, do I still feel broken? A whisper inside of me insists: Birth is more than a means to a baby. There was something I was supposed to do, something I was to receive through giving birth. Pregnant again, when the doctor tries to schedule another cesarean, I refuse. I will not submit to being tied down, cut open, and having my uterus extracted again without a fight. That's why I ask a midwife to help me give birth. I tell her that I'm determined and strong. But she sees through my tough-guy armor. She smiles, saying, "Birth isn't a battle to win or lose. It's the result of delving into your vulnerability and finding your true feminine power." 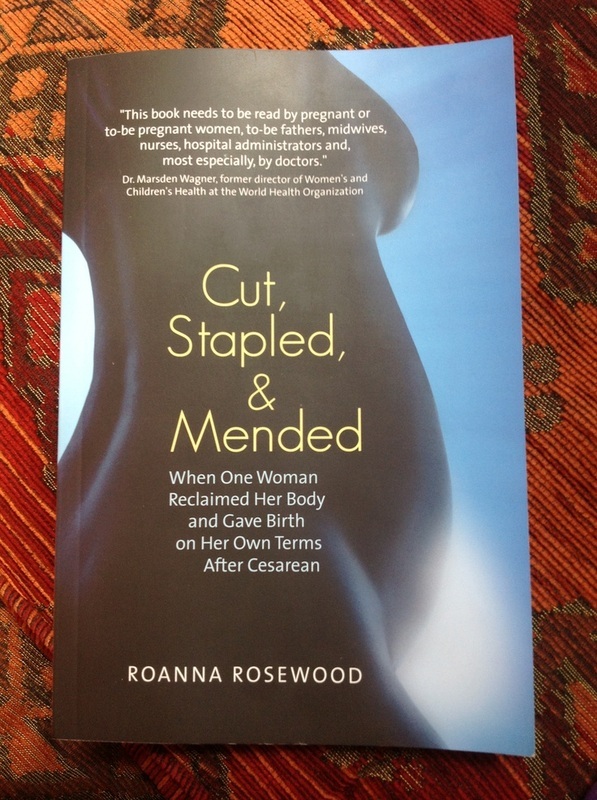 In exquisite detail, Roanna holds nothing back in her powerful birth memoir, plunging the reader deep into the intimacy of this universal rite of passage. 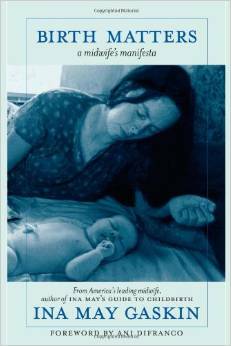 Part memoir, part manifesto, this is a must read for anyone who has given birth, will give birth, or who loves someone who will give birth. One size fits all does not apply to pregnancy and childbirth. Each one is different, unique, and comes with its share of pleasure and pain. But how does one prepare for an unexpected loss of a pregnancy or hoped-for baby? 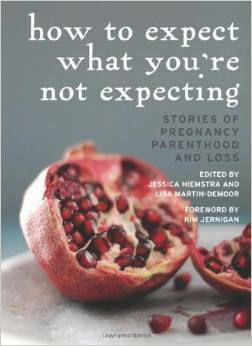 In How to Expect What You're Not Expecting, writers share their true stories of miscarriage, stillbirth, infertility, and other, related losses. This literary anthology picks up where some pregnancy books end and offers diverse, honest, and moving essays that can prepare and guide women and their families for when the unforeseen happens. The heartache of miscarriage, stillbirth, or infant death affects thousands of families every year. 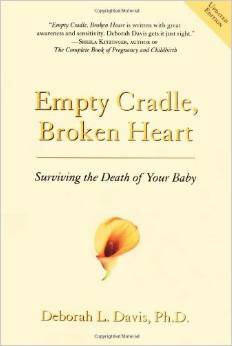 Empty Cradle, Broken Heart offers reassurance to parents who struggle with anger, guilt, and despair after such tragedy. Deborah Davis encourages grieving and makes suggestions for coping. 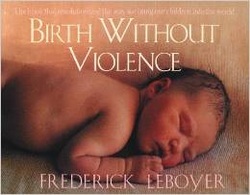 The book includes information on issues such as the death of one or more babies from a multiple birth, pregnancy interruption, and the questioning of aggressive medical intervention. There is also a special chapter for fathers as well as a chapter on "protective parenting" to help anxious parents enjoy their precious living children. Doctors, nurses, relatives, friends, and other support persons can gain special insight. Most importantly, parents facing the death of a baby will find necessary support in this gentle guide. If reading this book moves you to cry, try to accept this reaction. Your tears merge with those of other grieving parents. You are not alone! Even when mothers are highly motivated to breastfeed, when faced with obstacles—like pain, worries about milk production, and difficulty pumping—they may begin to question their good intentions. In situations like these, is weaning the best answer? Or are there simple ways to overcome challenges and meet their breastfeeding goals? 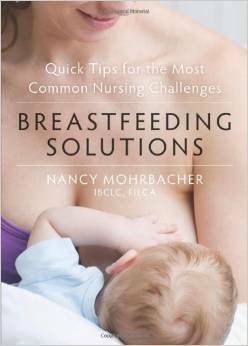 Breastfeeding Solutions is the perfect book for any new mother who wants quick, practical solutions to common breastfeeding problems. The book includes illustrations, tables and charts, and other visual aids to make it easy to quickly find the answers without wading through hundreds of pages of text. Breastfeeding is one of the best things a mother can do. 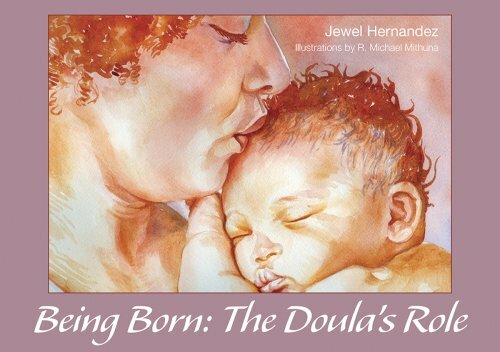 This book will help mothers overcome the hurdles so they can start cherishing this special time with their child. You're already an expert on your thyroid symptoms. Why not become an expert on solutions? Although your doctor is an invaluable resource, taking charge of your health care is the best way to discover treatments that work, make the most of your medical appointments, and restore your thyroid balance. 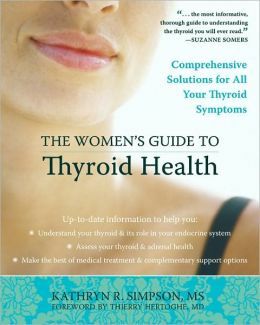 Because hypothyroidism, hyperthyroidism, and other thyroid problems affect every woman differently, The Women's Guide to Thyroid Health takes a personal approach. Together with your doctor, you'll evaluate your symptoms and use that information to create a personal treatment plan. Use this book to help interpret test results, understand your options for hormone therapy medication, manage side effects, and discover simple nutrition and lifestyle strategies that can keep you looking and feeling well. By informing yourself and partnering with your doctor, you'll get the results you are looking for.